Theremins is what we live and love. The most amazing electronic musical instrument, and the oldest one still around. 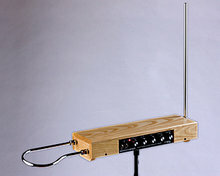 Easy to play and hard to master, the theremin can be played with any level of musical skill. 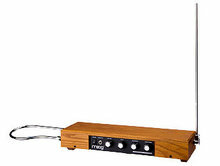 We offer the Moog Music Etherwave theremins in many different configurations. 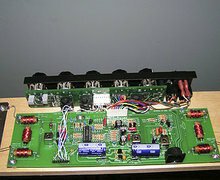 In original state, assembled and tested at the Moog Music factory in Ashville NC, USA, or assembled and tested by ourselves. To please the eye, we offer several finishes of the Etherwave cover. 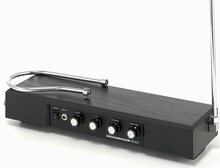 We can also pre-install the ESPE01 bass module, upgrade your current Etherwave theremin to the PLUS edition, and even build you a left-handed one. 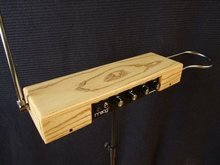 We build our 'Ethermagic-built' theremins on demand only. 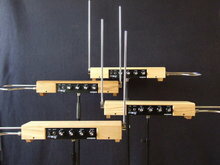 Do contact us with your theremin wishes! Custom built Etherwave PLUS there..
Etherwave PLUS Field Upgrade for ..
110 Vac PSU for Etherwave standar..
220 Vac PSU for Etherwave standar..